Glitter in fuchsia, golden yellow, blue, and deep purple received a standing ovation and stole the show on every runaway. Enhancing both the eye and brow area, placement is up to you. 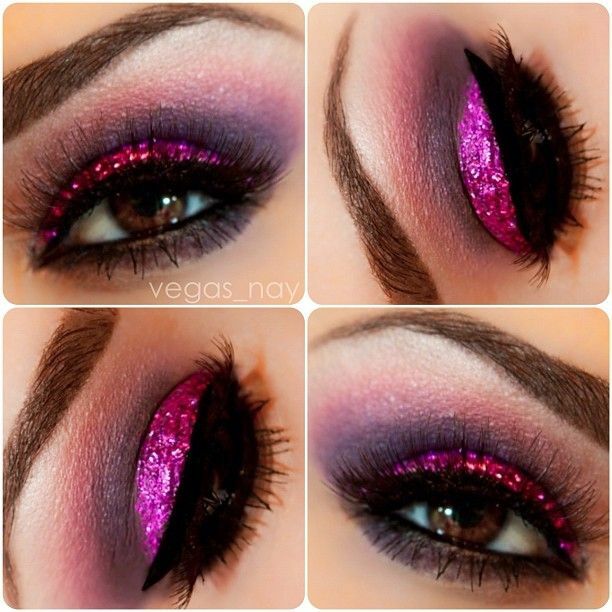 From cascading glitter in all shapes and sizes to sequins placed to create a waterfall effect, Glitter can trickle from the corners and/or under the eyes to a light dust over cheek bone, glitter can easily find it’s way into your routine. Even for those of us that are unsure about this trend, a touch on the lid can add just the right amount of festive holiday cheer.